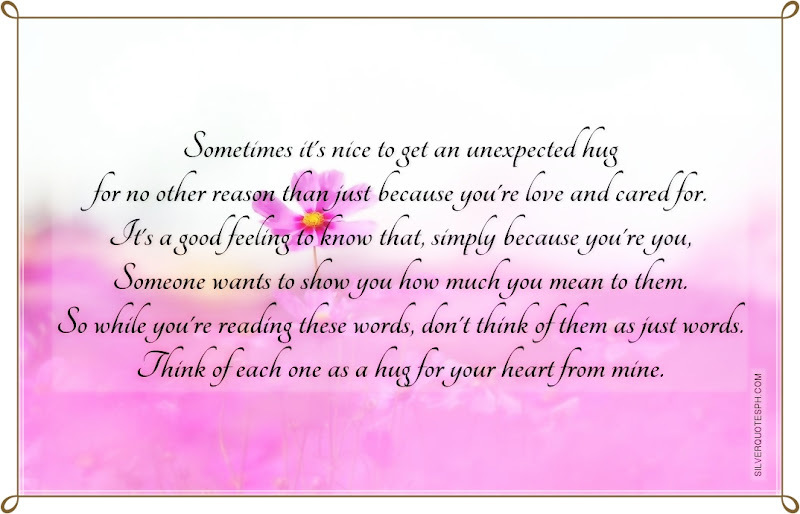 Sometimes it's nice to get an unexpected hug for no other reason than just because you're love and cared for. It's a good feeling to know that, simply because you're you, Someone wants to show you how much you mean to them. So while you're reading these words, don't think of them as just words. Think of each one as a hug for your heart from mine.